The first ever post on the Introductor was “the Queen of Campaigning”, Becky Tarbotton. To our shock and sadness, Becky passed away in an accident over Christmas. Her extraordinary life has been remembered in many places, from The Guardian, to Forbes, to the New York Times. Re-reading her original post, made me so glad I’d started this blog, so glad to have this snapshot of her insights, questions and passion. It also reminded me of the last time I saw Becky, a few months ago, when we drunk expensive cocktails in London’s Savoy hotel and cackled with laughter while the pianist played Sinatra. I loved the thought of us as wrinkled old women, drinking expensive cocktails, exchanging wisdom and laughing until we cried. I said my final goodbye to Becky on a cold London night in Covent Garden, and walked away high on the contentment that comes from a treasured, enduring friendship that will last for life. And then Becky’s life tragically ended, so much sooner than anyone could have imagined. In the days following her death, I found myself slowly writing a list. I realised it was a list of Becky’s qualities that I wanted to embody, the elements of my friend I wanted to live within me, a kind of existential bucket list. Now no-one, least of all the multifaceted Becky, can be reduced to bullet points, but well, whatever gets you through the night. Right? So here are some of the lessons I have learnt from the incredible, sorely missed, Becky Tarbotton. 2. Be yourselves – all of them. Becky was an incredible polymath, her breadth didn’t diminish her impact, it amplified it. The strategist, the fiddle player, the kayaker, the dancer, the protestor were all key to Becky sustaining a powerful life and not burning out. 3. Interdepend. Becky made and sustained deep connections with people wherever she went (despite being terrible at correspondence). In the days since her death, this immense community has suddenly become visible, with her friends supporting each other across continents and tributes pouring in from tribal leaders in Indonesia, CEO’s in the US, activists in Britain and school-friends in Canada. 4. Stand. Take a stand. Take a stand. 5. Don’t leave your success to chance. I remember when Becky first took leadership roles she spoke of that familiar feeling of being an imposter. She continually made sure she got the professional support she needed to overcome this and any other obstacles. Becky took all that potential she had, and then ran with it. 6. Embrace living in different worlds. Becky was just as at home brandishing a placard in front of the White House, drinking cocktails with film stars at galas, sea kayaking in the wilderness, and playing the fiddle in Irish pubs. 8. Spend more than you can afford on shoes. Becky was really good at doing this. OMG this is lovely. This is becky’s cousin jackie. I lived in Canada for 14yrs, as I went to Canada to be a nanny to Becky jess & Cam when Aunt mary had to have an operation. I was 18yrs old…..not even old enough to have a beer in a bar in Canada. Im sure that we are talking about the same time that becky had a meeting in London and then came down to Weymouth to spend time with her British relatives back in October time I think. We had a lovely sunday lunch with all the family and then my sister & I stayed behind and we had yet another bottle of wine and chatted with becky for hours. I remember my husband dropped her off to my Aunt Joans and uncle Brians house. I got out of the car and gave her a massive hug as I new I would not see her for some time…..god I’m so glad I saw her and gave her that great hug….Miss her so much….cant believe that I will not see her again. A lovely tribute, poignant memories of a special woman. So sorry for your loss and for all those who loved her, who were touched by her. The loss of treasured friends cannot be diminished. A part of them stays with us as we miss them, know that some experienced moment would have been delightfully appreciated by and with them, and that they would have understood us as we most needed understanding. At a friend’s eulogy who died at 44, Joanne, woman after woman called her their “best friend”. My eulogy, written 5 days prior, was filled with memories of my “best friend”. We had met when we were 19, become confidants, and spent much time in the ensuing years as part of each other’s lives. How could all these other women call her their best friend? I was. As I stood in front of everyone before I spoke, I felt her presence, and knew that the only words I had to say were “she was all of our best friend. That is her legacy. She left us all with the belief that we were special to her, and we were. May her intention keep us buoyant and may we never forget her.”. Take a stand. Remember Becky. This is wonderful, Ella. A similar list has been running through my head over the last few weeks. Thank you for articulating it so beautifully. And for reminding me of lesson 8! Ella, Mateo sent me the link to your blog, I was so touched by your dream and how you “nailed” Becky on all levels, so perfectly. 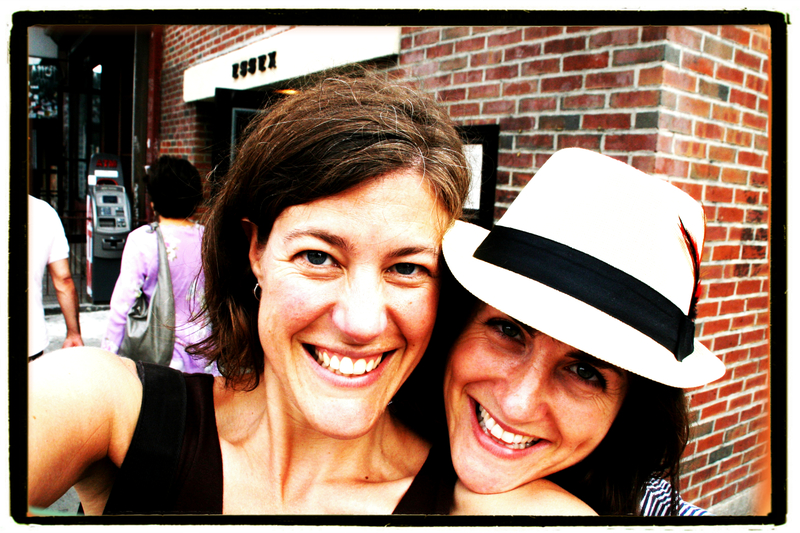 I LOVE your lessons–the Becky Manifesto–which she might have written herself. Someone (Jess?) read it at the RAN memorial and everyone roared. I was working with ISEC in Ladakh when Becky showed up in 1996 & we fell in love forever. My husband John and I married her & Mateo and also officiated at the family /friends memorial gathering last week in Berkekey. (btw, she did conduct it!) I still can’t believe she’s gone, she’s so alive inside me, more than ever. I’m so grateful we talked on the phone the night before they left for Mexico. Glad for you, too, Jackie, that you got to spend time with her. And Cathy, yes, she was everybody’d best friend, because she was always right there, fully present in that moment, with all her selves. That special part of each of us that only Becky knew died with her. And the part of Becky that only each of us knows lives on in us, for us to share with the world: Becky’s Legacy. Thanks again, Ella. I’m your new devotee! Thank you all for these beautiful comments. I’m sorry it has taken so long to acknowledge them. Dot, I’m your devotee! I was at Becky’s wedding and loved the way you conducted the ceremony – so wise, so profound and so much laughter. And now, as I prepare to officiate Becky’s UK memorial on Saturday, I’ll be summoning you up in all your ritual glory! Kristen, we’ll miss you a lot on Saturday. Cathy- that’s such an apt anecdote, I was just talking to one of Becky’s brothers today about how everyone felt they were her best friend, in his words, “she always made you feel like you were the centre of the universe.” And Jackie, I’m glad we’re going to meet on Saturday and that we’ll get to celebrate and mourn our beloved Becky together.